Kerikeri Primary School is a large semi-rural school located in the idyllic surrounds of the Bay of Islands. The local area is known as ‘the cradle of the nation’ being the site of the first mission station in the country that established the framework for New Zealand’s bi-cultural society. Kerikeri is home to some of the most historic buildings in New Zealand. Kerikeri Primary School is sited on expansive grounds incorporating 4 playground areas, hard surface play areas and large playing fields. 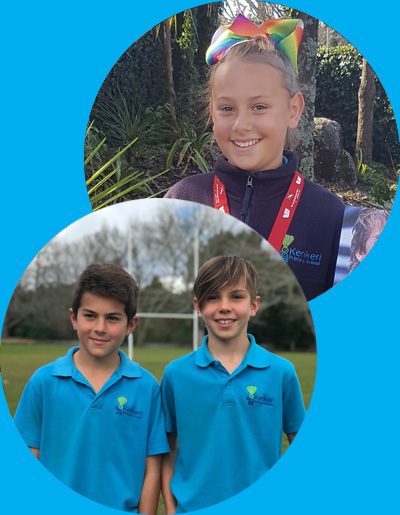 In recent years the school has adopted a ‘kaitiaki’ (caretaker) role over the neighbouring Wairoa Stream and we have worked in partnership with our community to develop a walking track to the stream and swimming hole that lay beneath a stunning rock waterfall. The school roll ranges from 520 – 600 pupils depending on the time of year. The school population is diverse; 60% of our students identify as NZ European, 28% Māori, 2% are ‘Other European’ and the remaining 10% consists of Tongan, Dutch, Cook Island Maori, British/ Irish, German, Filipino, Fijian, Australian, African, Chinese, Korean, Indian and Latin America/Hispanic.